Place the milk on a small plate. Place the cocoa powder on a separate small plate. Dip the rim of two 250ml glasses in the milk, then dip in the cocoa to coat. Divide the Nespresso coffee, agave and water between the glasses and mix to combine. Top with the ice and frothed milk. Sprinkle with the coffee beans to serve. Serves 2. ++ We used a Nespresso Aeroccino3 to froth the milk. Alternatively you can place milk in a jug and use a hand-held blender to froth. 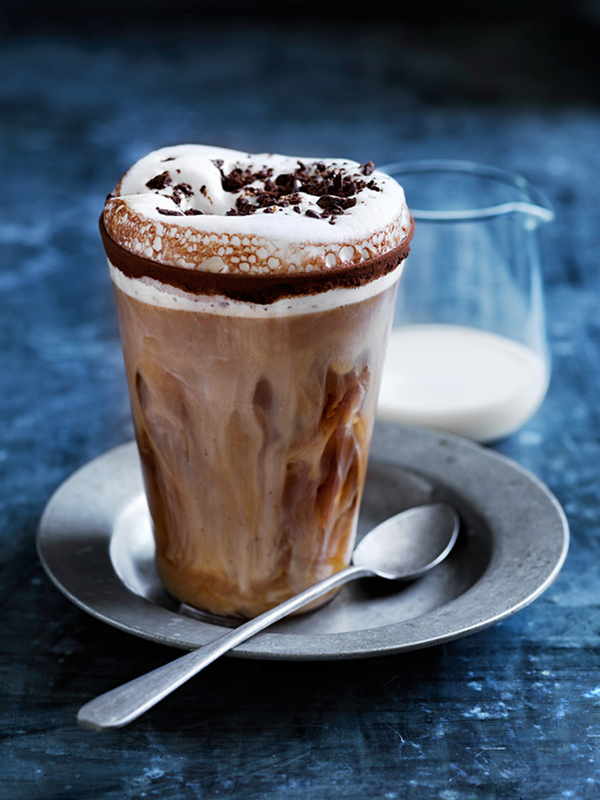 Tasting Note: The rich cocoa rim and delicately frothy milk beautifully complement the creamy texture and cocoa notes of the bold Intenso On Ice coffee.